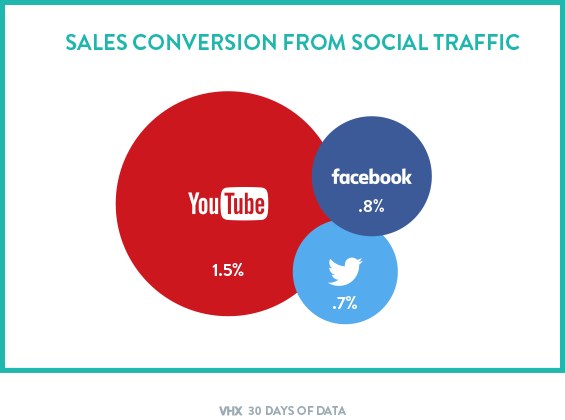 Some of the most valuable traffic to your site can be from YouTube, with an audience that converts about 2x better than traffic from Facebook or Twitter. The best way to point that YouTube traffic to your site is with YouTube Cards, which act as a handy call-out over the video in the upper right-hand corner with an image and a clickable link. They look nice and connect fans in just one click. See how documentary Real Value does a great job with the YouTube card on their trailer, making sure to convert interested viewers into happy customers.